In September, we will begin a one-year UKERC project examining current and future energy policy and multi-level policymaking and its impact on ‘energy systems’. This is no mean feat, since the meaning of policy, policymaking (or the ‘policy process’), and ‘system’ are not clear, and our description of the components parts of an energy system and a complex policymaking system may differ markedly. So, one initial aim is to provide some way to turn a complex field of study into something simple enough to understand and engage with. 1. What is the ‘energy policymaking system’ and how does it affect the energy system? Identify which level or type of government is responsible – ‘on paper’ and in practice – for the use of each relevant policy instrument. Identify how these actors interact to produce what we call ‘policy’, which can range from statements of intent to final outcomes. 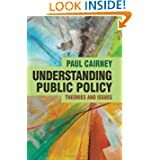 Identify an energy policy process containing many actors at many levels, the rules they follow, the networks they form, the ‘ideas’ that dominate discussion, and the conditions and events (often outside policymaker control) which constrain and facilitate action. 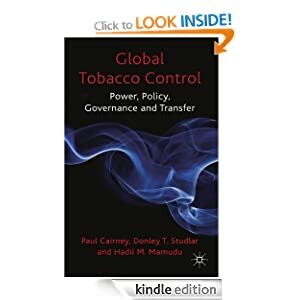 By this stage, we need to draw on particular policy theories to identify key venues, such as subsystems, and specific collections of actors, such as advocacy coalitions, to produce a useful model of activity. 2. Who is responsible for action to reduce energy demand? Energy demand is more challenging to policymakers than energy supply because the demand side involves millions of actors who, in the context of household energy use, also constitute the electorate. There are political tensions in making policies to reduce energy demand and carbon where this involves cost and inconvenience for private actors who do not necessarily value the societal returns achieved, and the political dynamics often differ from policy to regulate industrial demand. There are tensions around public perceptions of whose responsibility it is to take action – including local, devolved, national, or international government agencies – and governments look like they are trying to shift responsibility to each other or individuals and firms. So, there is no end of ways in which energy demand could be regulated or influenced – including energy labelling and product/building standards, emissions reduction measures, promotion of efficient generation, and buildings performance measures – but it is an area of policy which is notoriously diffuse and lacking in co-ordination. So, for the large part, we consider if Brexit provides a ‘window of opportunity’ to change policy and policymaking by, for example, clarifying responsibilities and simplifying relationships. 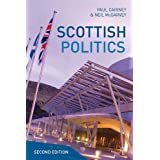 3: Does Brexit affect UK and devolved policy on energy supply? It is difficult for single governments to coordinate an overall energy mix to secure supply from many sources, and multi-level policymaking adds a further dimension to planning and cooperation. Yet, the effect of constitutional changes is highly uneven. For example, devolution has allowed Scotland to go its own way on renewable energy, nuclear power and fracking, but Brexit’s impact ranges from high to low. It presents new and sometimes salient challenges for cooperation to supply renewable energy but, while fracking and nuclear are often the most politically salient issues, Brexit may have relatively little impact on policymaking within the UK. We explore the possibility that renewables policy may be most impacted by Brexit, while nuclear and fracking are examples in which Brexit may have a minimal direct impact on policy. Overall, the big debates are about the future energy mix, and how local, devolved, and UK governments balance the local environmental impacts of, and likely political opposition to, energy development against the economic and energy supply benefits.